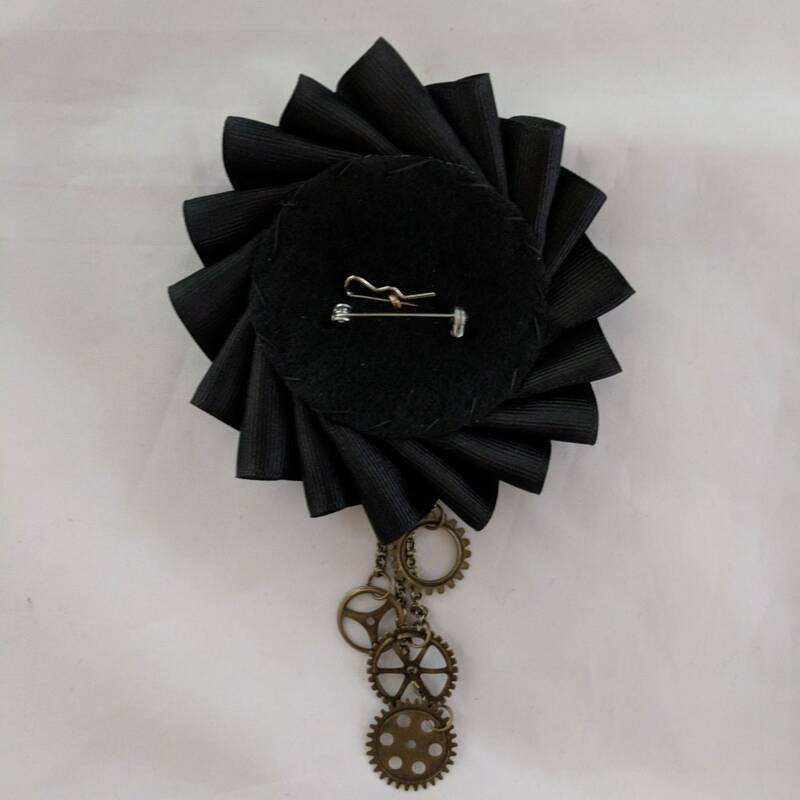 This two cornered hat is made from top quality wool felt. 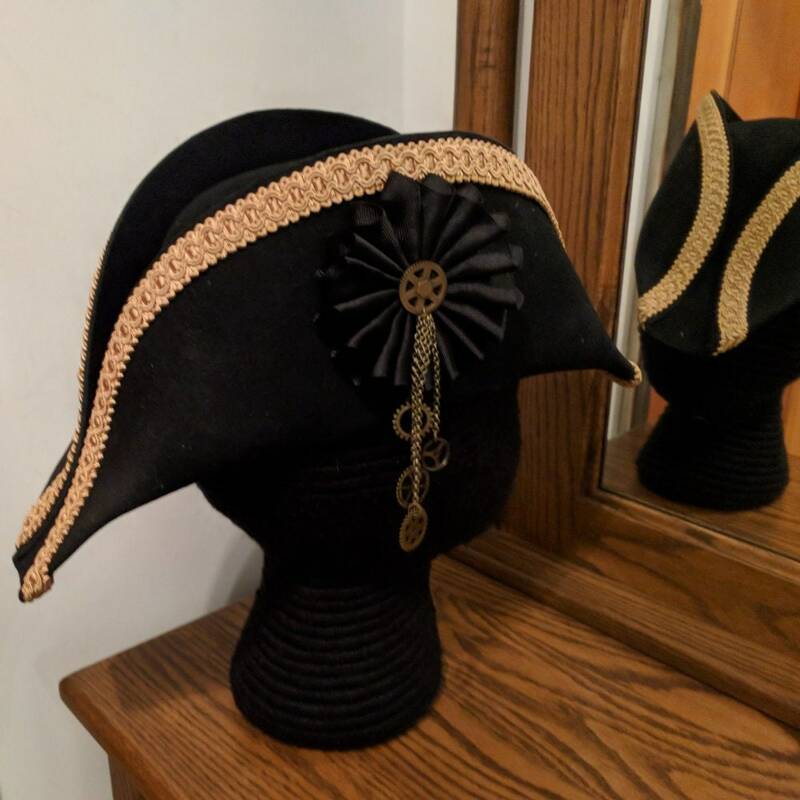 It's a real hat, not a cheap costume cloth one! 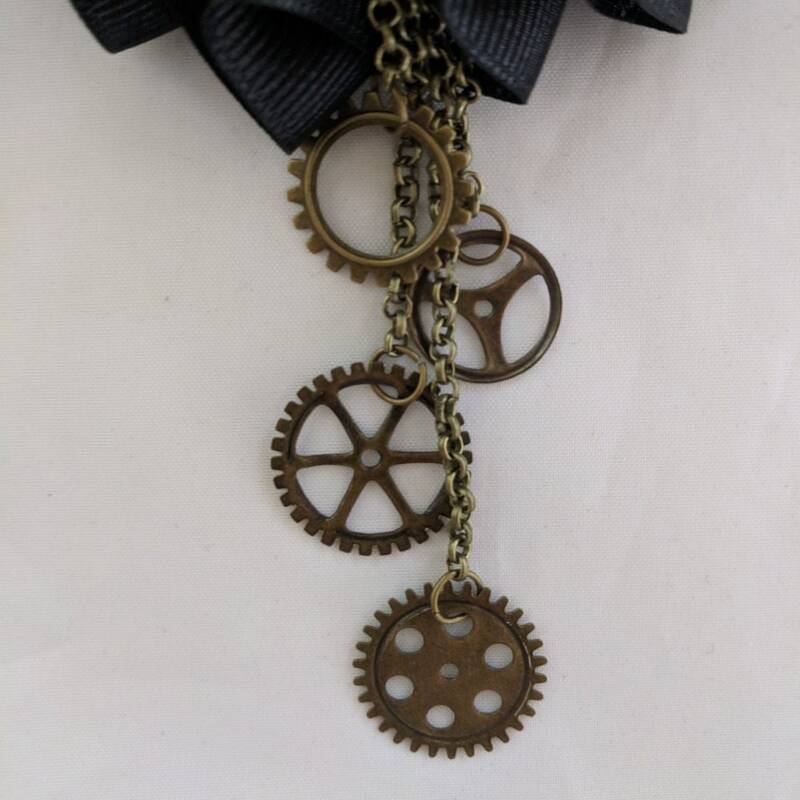 The edges have been trimmed even and decorated with 3/4" gold gimp trim (other trims available) with a removable black cockade with gear button and gears dangling from staggered lengths of chain. 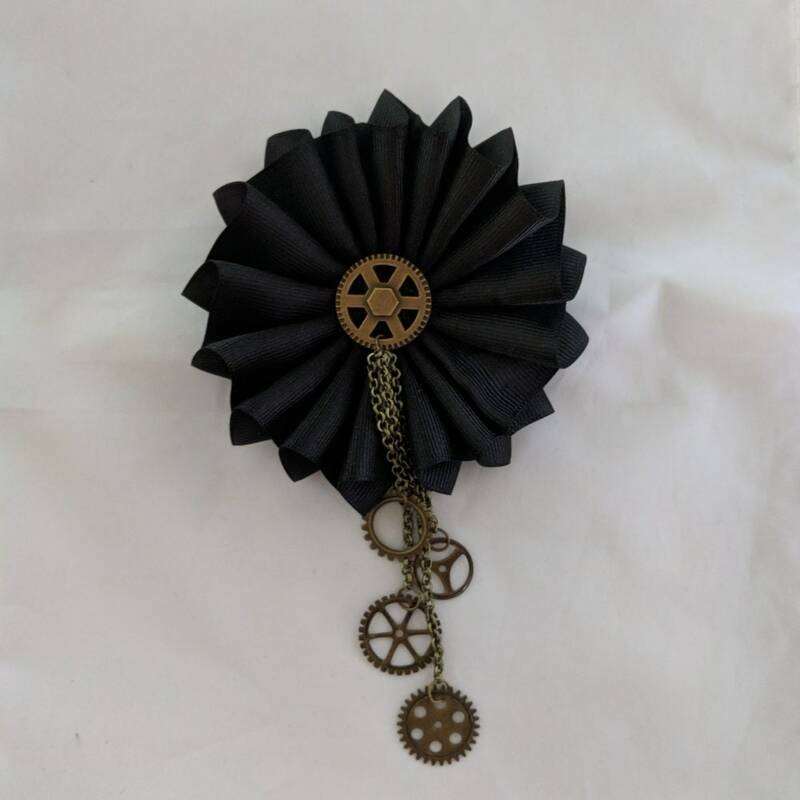 This hat is also available with silver gears and chains with another trim color. 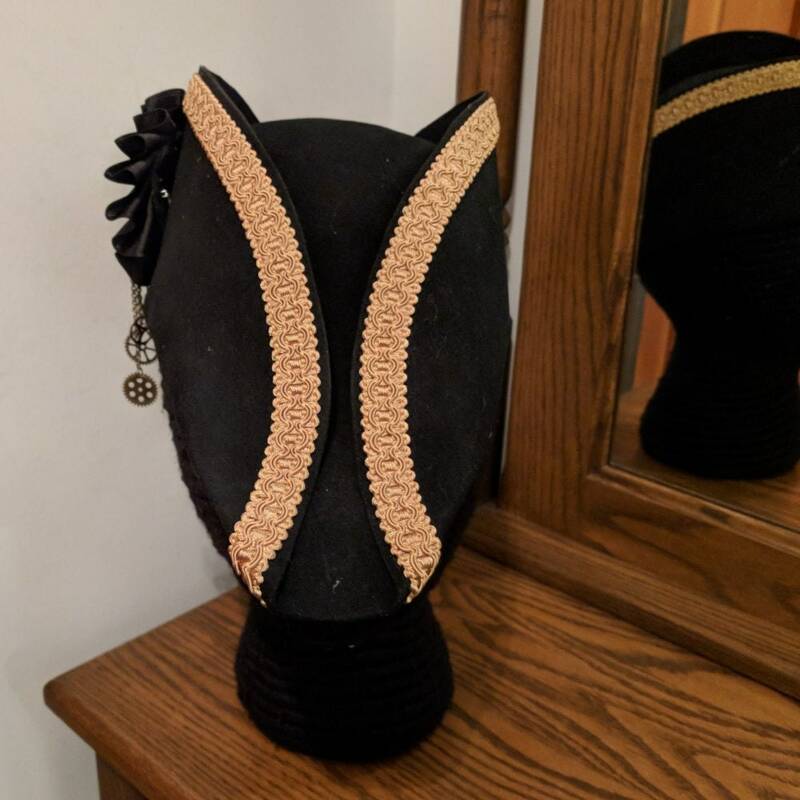 The brim is held up or "cocked" with small soutache "x" laces. 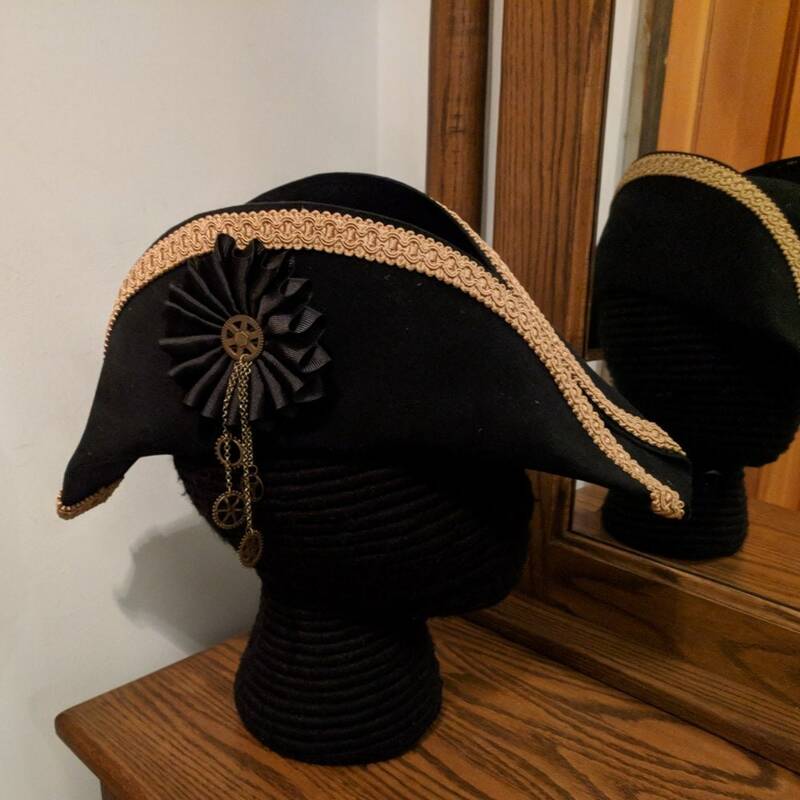 This hat was made to be worn fore and aft with a flat front. 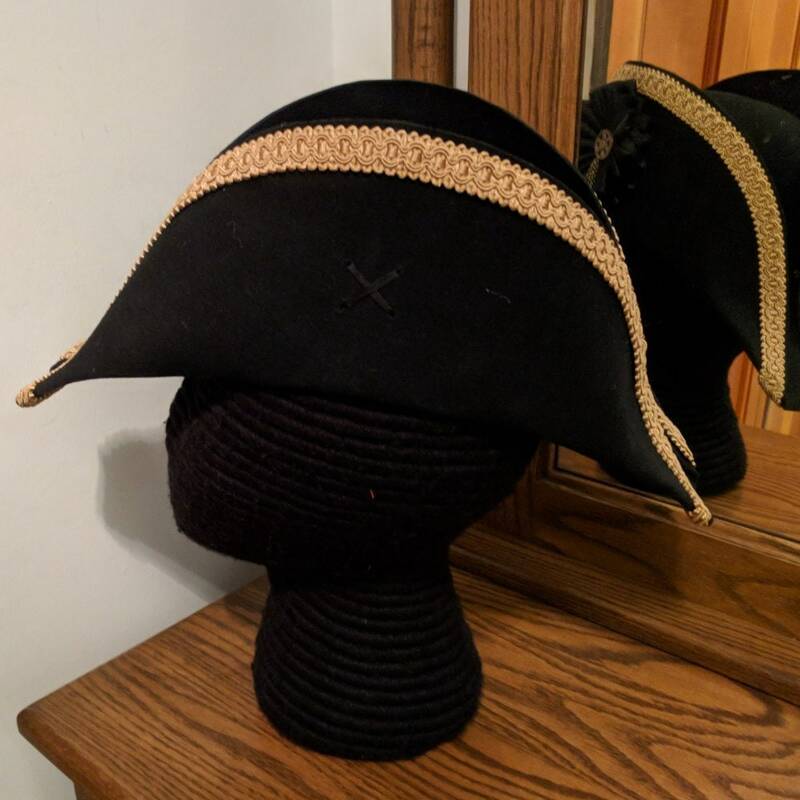 Over time you could probably stretch it to wear either way, but in the beginning the hat will be oval with a definite front and back. 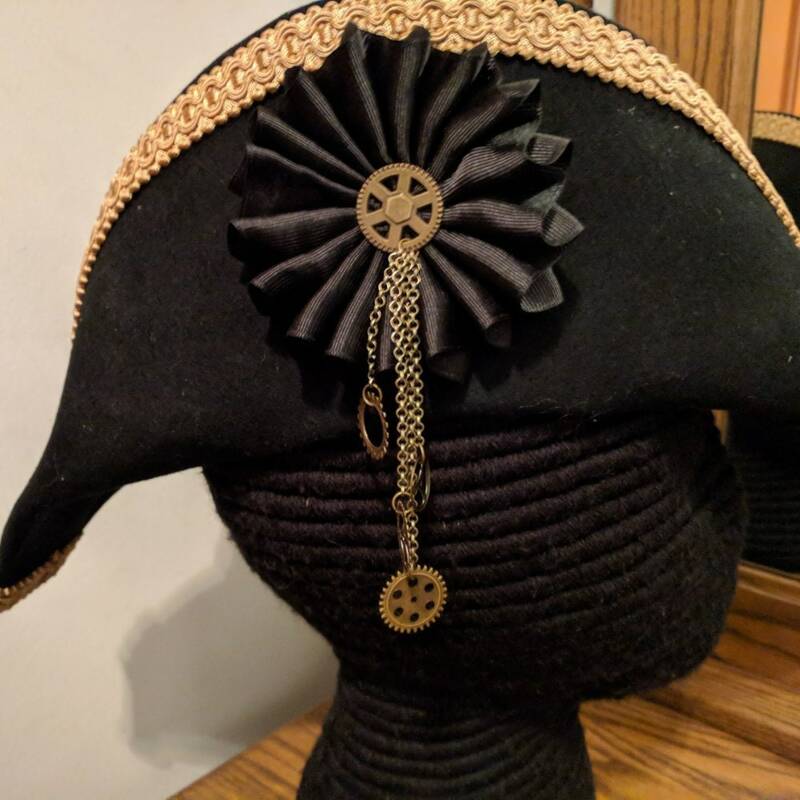 We also have a side to side steampunk bicorne in our Hats and Headwear section. 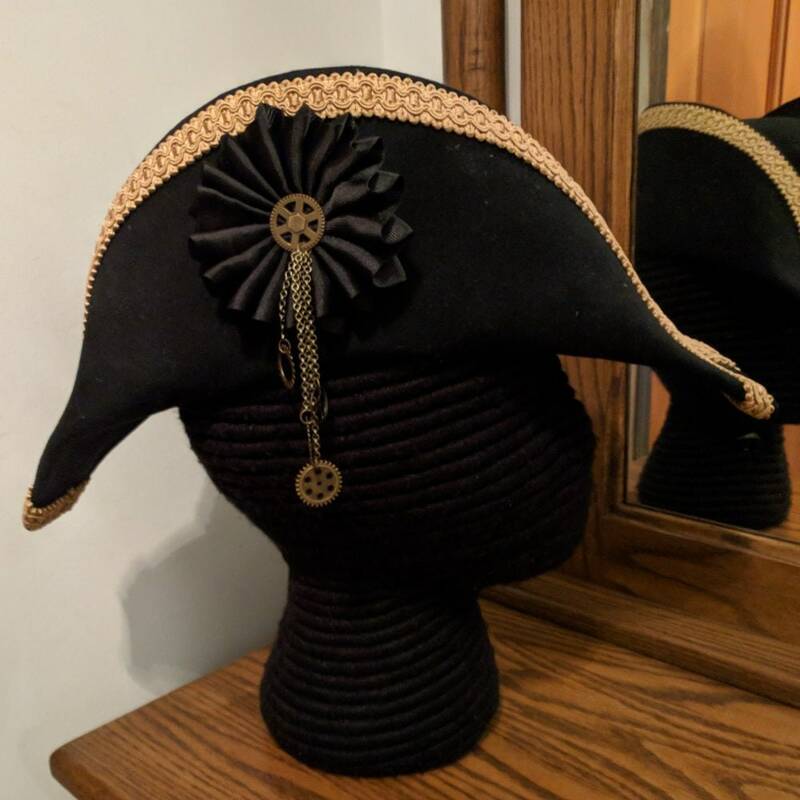 Great hat. Would buy from them again.